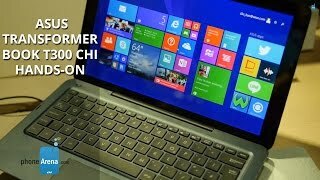 The tablet portion of the Asus Transformer Book T300 Chi is light and portable. 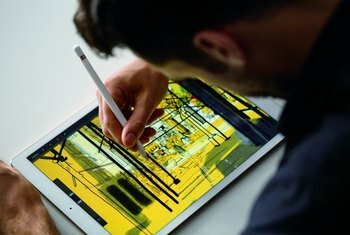 The screen is bright, vivid, and responds to a pressure-sensitive stylus. The keyboard attaches magnetically and is included with the unit. The battery life leaves you in the dark midday. Users who require a USB port need to look elsewhere. The keyboard uses a Bluetooth connection instead of a hardwired connection when the two units are connected, which leads to lag and battery drain. 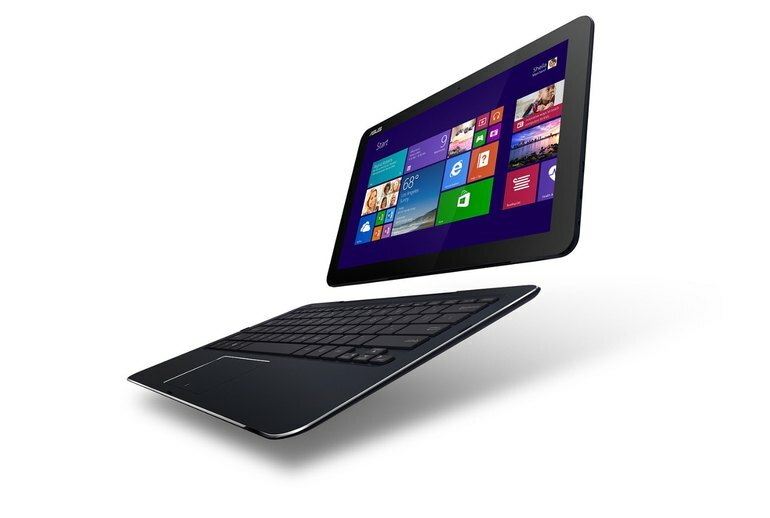 The Asus Transformer Book T300 Chi aims to provide the best of both computing worlds: tablet and laptop. 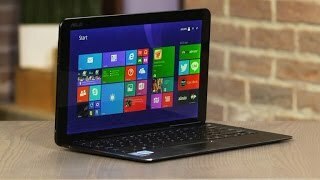 It's hybrid design features a 12.5-inch screen, Windows 8.1, a removable keyboard and trackpad, an Intel M processor, and 128GB solid-state drive. 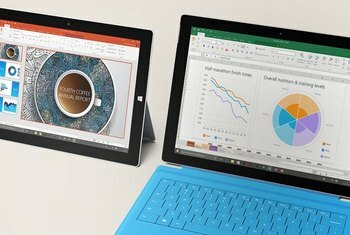 The hybrid feels like a traditional laptop, but its slim design doesn't leave room for a USB port. The keyboard needs to be charged separately to the tablet via its micro-USB connection, but thankfully this shouldn’t be a regular occurrence: after a full charge, the keyboard lasted well over a week during our testing. 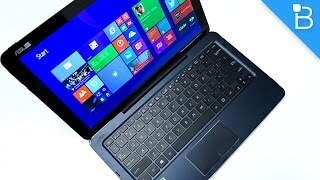 This is by far the best hinge we've seen on a detachable 2-in-1. Aside from a slight bulge at the back of the device, the T300 is indistinguishable from a laptop with the keyboard connected. Sadly there's no way of increasing the onboard storage (either with Asus or doing it yourself), but one solution is to buy a microSD card and have it slotted in at all times. 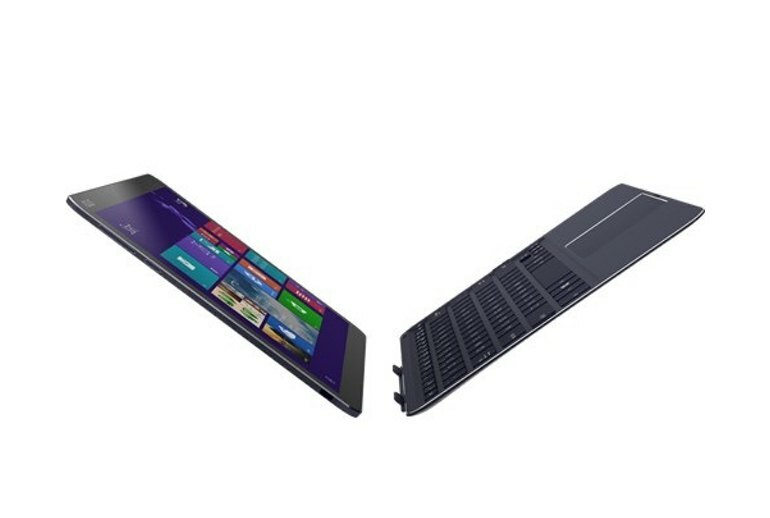 At 1.59 pounds for the tablet alone and 3.15 pounds with the keyboard dock attached, it's relatively heavy. The T300 lasted for 6 hours and 38 minutes in our rundown test, and in normal usage of browsing the web in Chrome, chatting with coworkers in Slack, and typing in Microsoft Word, the battery would kick the bucket in about five hours. The T300 Chi's gorgeous aluminum body makes it look like it costs well over $700. 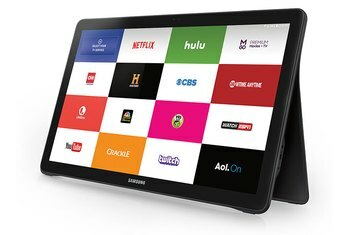 The connectivity options are limited, due to the tablet's slim form factor. 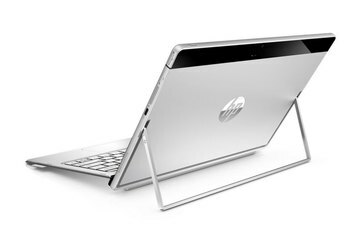 The Transformer Book Chi T300's screen doesn't fold back very far, meaning it'll always seem pretty upright. Asus has tried to keep this as slim as possible the result is little in the way of useful connections. Specifically you don’t get any full-size USB ports nor an SD card reader. The greatest trick the T300 Chi plays is convincing the world that it is a laptop. No joke, there were a handful of occasions in which I forgot the display also happened to be a touchscreen tablet. 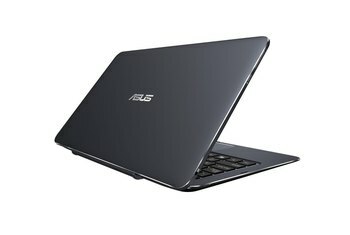 When it comes to looks, I’ve gotta hand it to Asus—this portable machine looks pretty damn good.